HOUSE BILL 127: Members will discuss issue further Saturday. JUNEAU -- A former Peace Corps worker told legislators it's been harder to recruit Alaskans for overseas work since the Legislature seven years ago kicked volunteers off the list of allowable absences for the Permanent Fund dividend. "It's just one more barrier," said Carolyn Gray, of Northern Alaska Peace Corps Friends in Fairbanks. The House State Affairs Committee considered legislation Thursday to add back Peace Corps duty to the list of reasons Alaskans could be absent from the state but still collect the dividend. Members took no action, holding House Bill 127 for further discussion at a meeting set for Saturday morning. It's the third time since her election in 2000 that Anchorage Republican Rep. Lesil McGuire has tried to put the Peace Corps on the dividend recipient list -- the same as college students, military personnel and Alaskans sent out of state for medical care. "It's near and dear to my heart," she told the committee. The Peace Corps is celebrating its birthday this week, commemorating President John F. Kennedy's order establishing the agency on March 1, 1961. More than 178,000 Americans have served in 138 countries in the past 44 years. During that time, the Peace Corps has been an effective tool for democracy and against communism worldwide, Matanuska Valley resident Justin Barbalace told committee members. "We are no longer fighting communism," but the agency can help promote democracy by fighting hunger and poverty, said Barbalace, who is scheduled to start his Peace Corps assignment in June. He said the dividend would help him make payments on his college loans. Without the dividend, and with the low Peace Corps pay, some Alaskans come back home in worse financial shape than when they left, Barbalace said. About 85 percent of Alaskans who join up for the Peace Corps' two-year assignments return to Alaska, McGuire said. 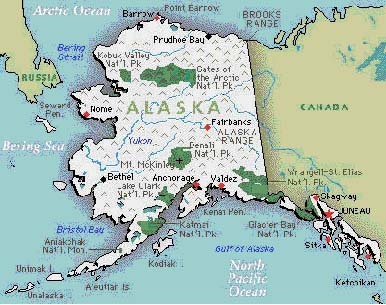 On average, 30 to 40 Alaskans serve each year. The volunteers range in age from their 20s to 60s, said Gray, who served in Panama from 1965 to 1967 before starting a 26-year career as a Fairbanks school teacher. She retired in 1996. "Recruiting is a difficult process in Alaska ever since 1998," when legislators eliminated the Peace Corps from the dividend list, said Gray. 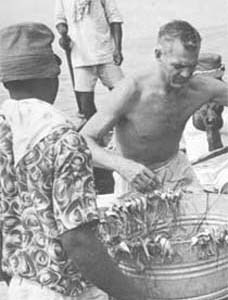 Her husband, Don, also a retired teacher, served with the Peace Corps in India from 1966 to 1968. But if the Legislature adds back the Peace Corps, what about Alaskans who leave for work with a U.N. relief agency or to volunteer for a group such as Doctors Without Borders, asked Rep. Max Gruenberg, D-Anchorage. "I'd like to think about that issue," he told his colleagues. The committee deleted from the bill a provision that would have allowed diplomats in the U.S. Foreign Service to continue receiving their dividends while overseas. "People who are serving in the Peace Corps ... make a sacrifice. The Foreign Service is a career choice," said Rep. Berta Gardner, D-Anchorage, who proposed the amendment to remove Foreign Service workers from the bill. She pointed out that diplomats get health insurance, annual leave, child care and a comfortable wage. Daily News reporter Larry Persily can be reached at lpersily@adn.com, or in Juneau at 523-9306.